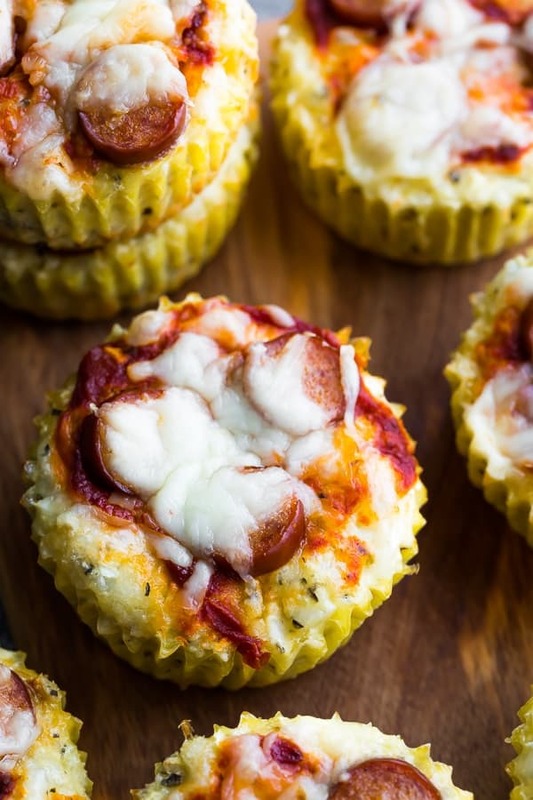 Low carb cauliflower pizza muffins are a sinfully cheesy snack that is going to make you feel like you are treating yo-self! Only 3 g net carbs per muffin. 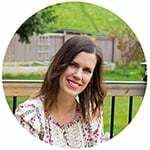 Even though I’m not on a low carb diet, I know many of you are. And I always tend to reach for the sweet snacks, so it’s good to mix things up with a healthy savory snack once in awhile. 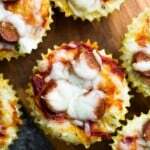 Enter these low carb cauliflower pizza muffins. Packed with sneaky veggies, and made with almond flour to keep the carb count low. And these muffins keep really well, making this the perfect low carb meal prep snack! 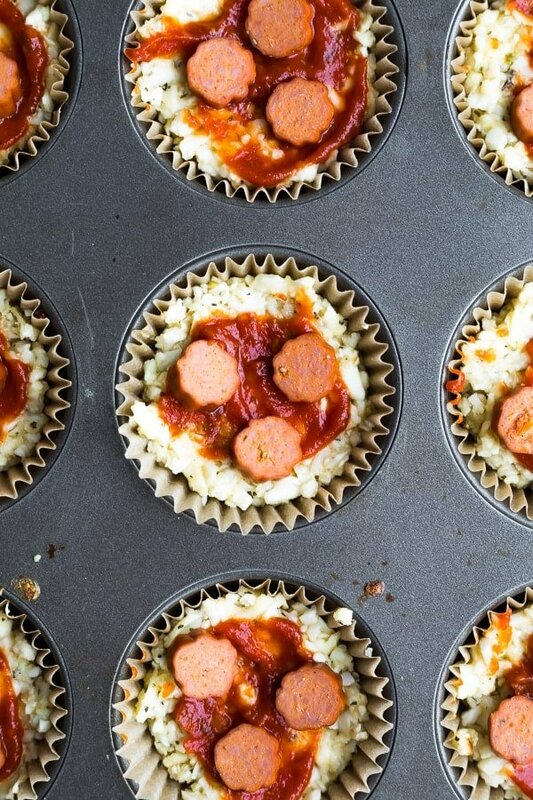 The base of these muffins is riced cauliflower…as we all know cauliflower + pizza is a match made in heaven, and they go so well together in these muffins too! pizza sauce, pepperoni and a bit more cheese on top! What kind of muffin liners can I use? I tested with both silicone and parchment liners and much preferred the parchment liners. I suspect these will stick to traditional paper liners. Can I use a different flour? These muffins have only been tested as written (with almond flour). I suspect they’d work well with all purpose flour but haven’t tested yet. 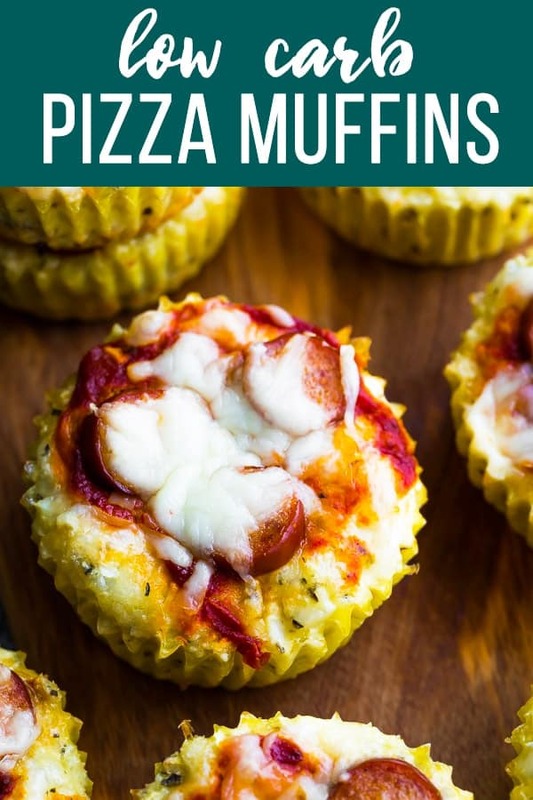 Low carb cauliflower pizza muffins are a sinfully cheesy snack that is going to make you feel like you are treating yo-self! Heat oven to 350°F. Line a muffin tray with parchment or silicone liners OR spray generously with spray oil. 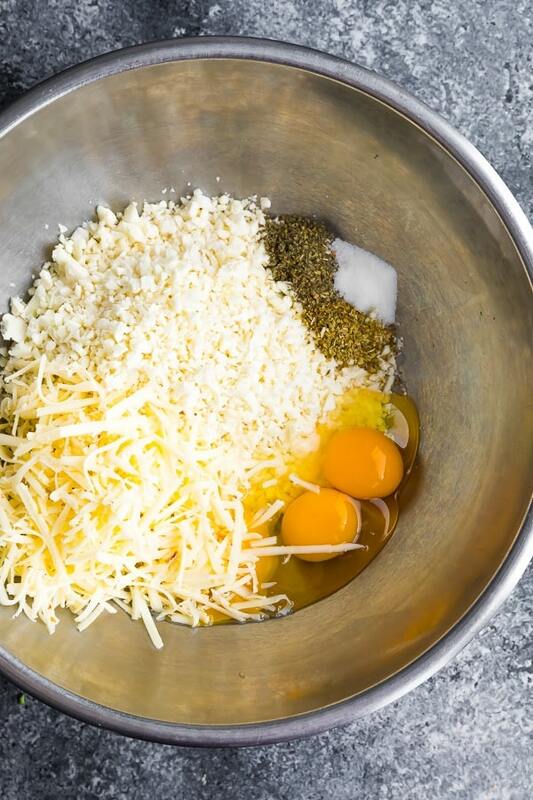 In a large bowl, stir together the cauliflower, eggs, salt, basil, oregano, shredded cheese, almond flour and baking powder. Divide between 12 muffins. 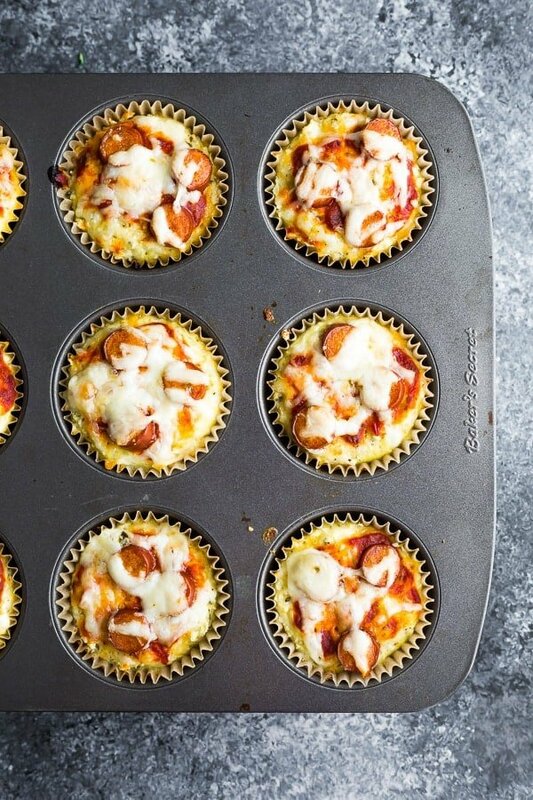 Top each muffin with 1 teaspoon of pizza sauce, several slices of pepperoni and a sprinkle of cheese. Bake in the heated oven for 25-28 minutes, until cooked through. These muffins may be stored in the fridge for 3-4 days in a sealed container or in the freezer for up to 3 months. To freeze, wrap each muffin in plastic and store in a larger bag or storage container. Heat in the microwave until the cheese on top is melty again. These are also great served cold! Made these tonight for the week and they are amazing! I’m usually pretty scared to try new things but I’m so glad I did! Thanks for such great recipe! Hurray! I’m so happy you enjoyed, Amanda 🙂 Thanks for taking the time to leave a review!